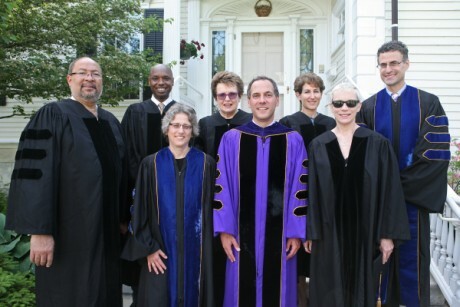 Williams College President Adam F. Falk conferred bachelor’s degrees on 527 seniors at Commencement, Sunday, June 2, 2013. Master of Arts degrees were awarded to 12 students in the Program in the History of Art, and 28 fellows from the Center for Development Economics received M.A. degrees in Policy Economics. View a selection of photos from Commencement in our Flickr collection. Emily Hertz was Co-Valedictorian. One person was chosen at random to deliver the valedictory address.